Homer Simpson - perhaps the most profane character and worst father ever to headline a mainstream American television program - is Catholic, the Vatican's official newspaper has declared. "Few know it, and he does all he can to hide it. But it is true," Luca Possati writes in Sunday's Osservatore Romano. OK, Homer snores through the Rev. Lovejoy's sermons. Yes, he relentlessly humiliates his evangelical Christian neighbor Ned Flanders. But the show is one of the few in American life that takes religion seriously, a Jesuit is arguing - from grace before meals to an (admittedly off-kilter) belief in the afterlife. 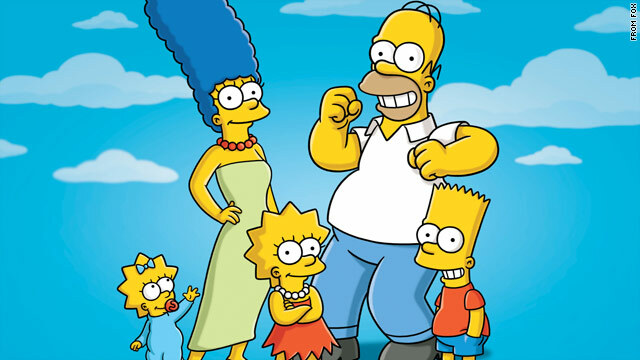 The article riffs on the 2005 episode "The Father, the Son and the Holy Guest Star," in which Homer and Bart flirt with the idea of converting to Catholicism (and Homer makes an outrageous confession). Homer decides against it with "a cathartic D'oh!," Possati writes. But the Rev. Francesco Occhetta praises the episode - and the series –anyway, Possati writes. Occhetta wrote about The Simpsons in the most recent edition of Italian Jesuit magazine Civilita Cattolica, Possati says. Creator Matt Groening's "surreal comedy, pungent satire and sarcasm about the worst taboos of the American Way of Life" opens "anthropological themes that are tied to the meaning and quality of life," he says. "The moral message? None," the Vatican newspaper concludes. "But a world without easy illusions is a more humane and perhaps more Christian world." "But a world without easy illusions is a more humane and perhaps more Christian world." Does anyone else see the massive amount of irony in that statement? It was the pancake dinner that did it for Homer. The Simpsons is an incredible satire: after the laughter, there's so much to talk about! I just had to respond to this outrageous claim! I wrote a response article, "Homer Simpson is not a Catholic, nor an Anglican, but he just might be an average American Christian." If you remember the show is satire, there's a lot we can learn from Homer's "faith"! Let me know what you think. I'd really like your feedback, especially you real Simpsons fans! The Simpsons are now members of the the worlds largest pedophilia club. The context or origin of the word papist is irrelevant. It's offensive either way. It's as petty or elementary as using other social slurs. Instead of harboring wrath why not pray for peace and understanding?
" most profane character and worst father" proclaimed a Catholic by Vatican agency. Amen. Wow. Sloppy journalism here, CNN. Columnists for "L'Osservatore Romano" speak for themselves, and do not necessarily represent the views of the Vatican. Your headline is flat-out wrong. To the Catholic Church... Put away your idols and engraved Images and Return To the Commandments and Testimony of Christ. Spend your money on helping the poor instead of wasting money on news about cartoon characters. "Marge, I want to be alone with the sandwich." "The moral message? None." Agreed, regarding the Vatican. Yeah, this sounds about right for Catholics. Decry the vulgarity of a pop culture icon for twenty years until it is beyond passe, and then turn around and pretend that it was yours all along you that can seem "hip." What planet is the Vatican on? Until a few years ago, they were on the flat planet.